I was fortunate enough to be introduced to the Ruby Red Trilogy by Sara Biren and her relentless love of the series. I was also fortunate to have other writer friends (Tracey and Jaime!) that loved the series and kept it at the forefront of my TBR list. 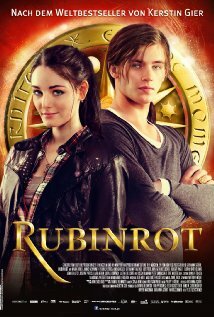 Then I was introduced to the German produced film titled Rubinrot starring these lovelies. There is something particularly wonderful about this German published, International Best Seller that can bring you from the funk of winter, the grumbles of work or other strife and responsibilities, and to make you feel inherently hopeful about the future. So, in the doldrums of winter, we hatched a plan to reread the series and let it carry us safely into spring. If you haven’t already discovered these fabulous books, now is a great chance to do so in the company of friends. Feel free to join in! Starting tomorrow, reread (or read!) Ruby Red through the month of February. 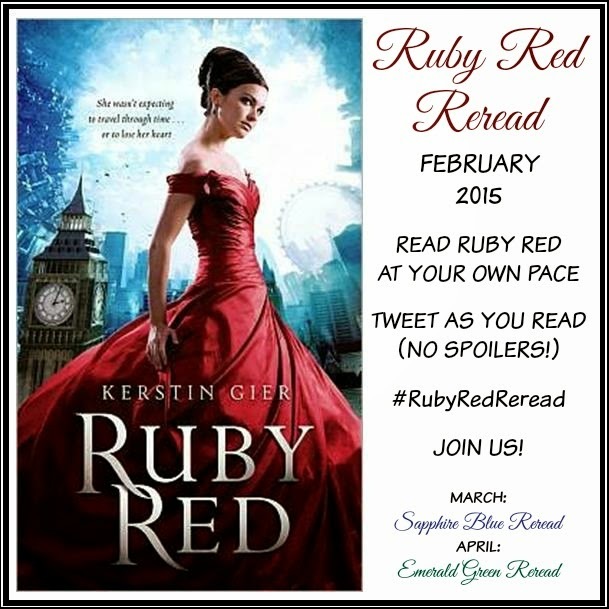 Tweet with the hashtag #RubyRedReread all your reactions (but try to keep them spoiler free), swoons, feels, frustrations — anything! In March we will read Sapphire Blue, and in April we will read Emerald Green. I hope you guys are as excited as we (clearly) are. It’s going to be EPIC. YAY! That’s so exciting. I know you will love them.